Ancient Roman Hierarchy: Roman society had a very clear cutout class system. However, their slaves could buy their freedom if they earned the money. In the early years, at the top of Roman Society were kings who held supreme power, but soon enough the kings were thrown out. At the top of the Roman hierarchy were the patricians and when there was one, a king. At the opposite end were the powerless slaves. Although a Roman Paterfamilias ‘father of the family’ could sell his dependents into slavery, this was rare. 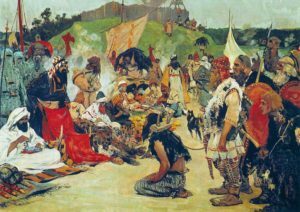 Slaves could also enter the system through children abandoned at birth and through birth to another slave, but the main source of Roman slavery was warfare. 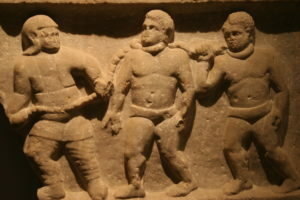 In the ancient world, those captured during the war became slaves (or were killed or ransomed). The Roman peasantry was mostly replaced by large landowners with plantations worked by slaves. Not just landowners had slaves. There were state slaves and domestic slaves. Slaves came to be highly specialized. Some earned enough money to buy their freedom. Newly freed slaves could become part of the plebeian class if they were citizens. Whether or not a manumitted (freed) slave became a citizen depended on whether the slave was of age, his master was a citizen, and whether the ceremony was formal. Libertinus is the Latin term for a freedman. A freedman would remain a client of his former master. 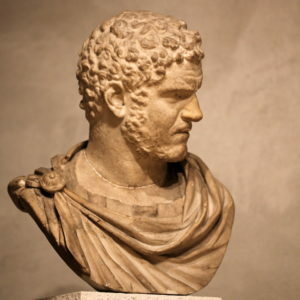 The ancient Roman proletariat was recognized by King Servius Tullius as the lowest class of Roman citizens. Because of the slave-based economy, proletarian wage-earners had a hard time getting money. Later, when Marius reformed the Roman army, he paid the proletarian soldiers. The bread and circuses made famous during the Roman Imperial period and mentioned by the satirist Juvenal were for the benefit of the Roman proletariat. The name of the proletariat refers directly to their chief function for Rome — the production of Roman proles’offspring’. The term plebeian is synonymous with lower class. The plebeians (also known simply as plebs) were that part of the Roman population whose origin was among the conquered Latins (as opposed to the Roman conquerors). Plebeians are contrasted with patrician noblemen. Although over time the Roman plebeians were able to amass wealth and great power, the plebeians were originally poor and downtrodden. Equities were wealthy Roman horsemen or knights. The name is derived from the Latin for a horse, Equus. The equities came to be a social class just under the patricians. 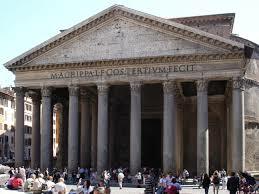 Their number included Rome’s successful businessmen. The patricians were the Roman upper class. They were probably originally relatives of theatres ‘fathers’ – the heads of the families of the old Roman tribes. In the beginning, the patricians held all the power of Rome. Even after the plebeians won their rights, there were vestigial positions reserved for patricians. Vestal virgins had to be from patrician families and Roman patricians had special marriage ceremonies. The king was the head of the people, chief priest, a leader in war, and the judge whose sentence couldn’t be appealed. 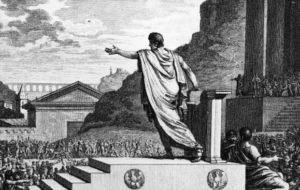 He convened the Roman Senate. He was accompanied by 12 lictors who carried a bundle of rods with a symbolic death-wielding Axe in the center of the bundle. However much power he had, he could be kicked out. After the expulsion of the last of the Tarquins, the 7 kings of Rome were remembered with such hatred that there were never again kings in Rome. This is true despite the fact that there were Roman emperors who were monarchs with as much power as the kings. Romans could be either patrons or clients. This was a mutually beneficial relationship. The number of clients and sometimes the status of clients conferred prestige on the patron. Roman clients owed their votes to the patron. Roman patrons protected their clients, gave legal advice, and helped the clients financially or in other ways. A patron could have a patron of his own; therefore, a client, could have his own clients, but when two high-status Romans had a relationship of mutual benefit, they were likely to choose the label amicus ‘friend’ to describe the relationship since amicus did not imply stratification. It is always interesting to speculate on the extent to which (the media portrayal of) the mafia is dependent on this ancient mutually beneficial Roman institution.